With a knife or kitchen shears carefully remove the leaves from the thick stems and tear into bite size pieces. Wash and thoroughly dry kale with a salad spinner. 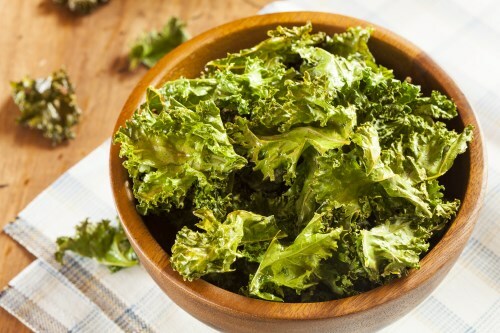 Drizzle kale with melted coconut oil and sprinkle with seasoning salt.